FILIPINOS love to eat. Even if holiday parties and celebrations have subsided, gatherings and get-togethers continue. Just think of the Chinese New Year, the upcoming Valentine’s Day, fiestas and graduation parties. While we’re still up for exciting food trips, it is important to take care of our oral health and be ready for the non-stop eating and drinking we all enjoy doing. 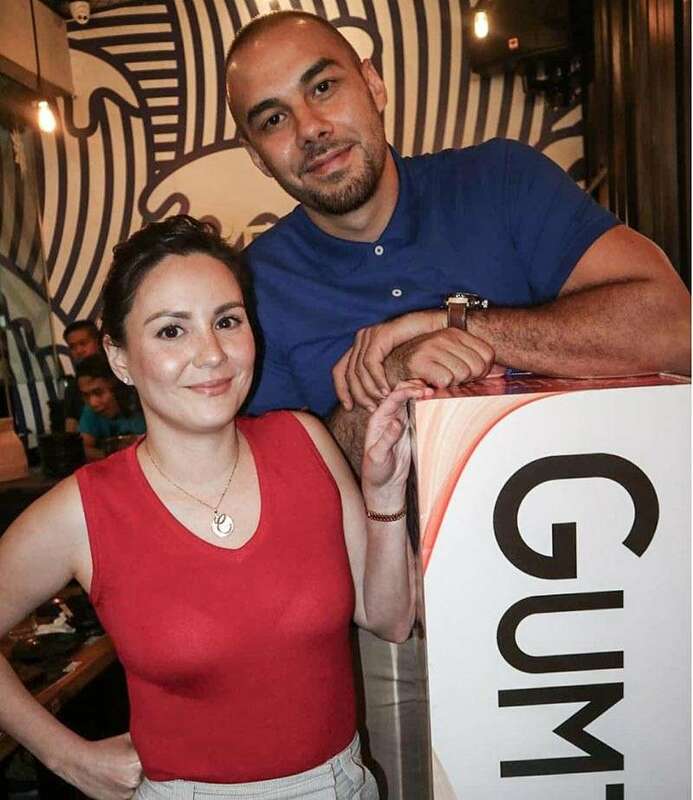 As oral healthcare advocates for Gumtect, online personalities Doug and Chesca Kramer shared how important it is that they take care of their teeth and gums, so they don’t miss out on any foodie moments when they get together with their friends and family. “Despite our busy schedules, we enjoy the gatherings and reunions to relax and catch up over food,” shared Doug. “I have a really sweet tooth, and I enjoy having conversations over dessert. But for me to be able to just enjoy the food, I also ensure to take care of my gums and teeth so there’s no hassle of gum problems.” Doug advocates oral care with the use of Gumtect Gum Care toothpaste, which works to promote healthy gums, protects against harmful mouth bacteria, and moisturizes and strengthens the gums. As for Chesca, her already hectic schedule as a mom can only get busier with activities with her kids on the horizon. She shared that with her sensitive teeth, she needs to take care of her gums so pangingilo doesn’t get in the way of her indulging in her favorite dishes with her loved ones. According to a study in 2011 by the National Monitoring and Evaluation Dental Survey, 48 percent of Filipinos suffer from some form of gum disease. Receding gums are often accompanied with tooth sensitivity. Commonly caused by wearing of the thin outer covering of the tooth (enamel), over-brushing, acidic food and gum receding, pangingilo or dental hypersensitivity begins when the inner part of the tooth is uncovered. This results to an oh-so-familiar brief yet sharp sensation of tooth sensitivity.